The holiday season might bring to mind images of opening gifts or celebrating over a big meal with friends. However, the holiday season also brings with it an increase in many arrests. As your local bail bond company in Lynchburg, we are here to help you during the holiday season if you or a loved one find yourself in trouble with the law. No one wants to spend the holidays behind bars, which is why we offer fast and affordable bail throughout the area no matter what time of day or night it is. 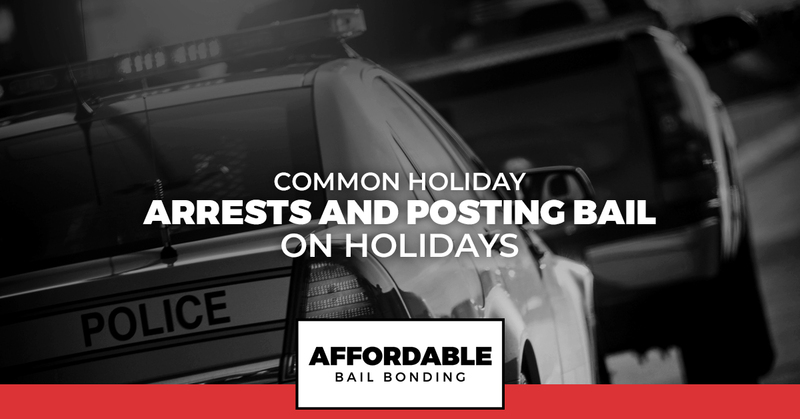 Read on to learn more about the common arrests made during the holiday season and what you can do to post bail. Alcohol: The holidays often involve an increased consumption of alcohol. Whether it is at your office’s holiday party or your family gathering, more alcohol can lead to an increased risk for common arrests such as drinking and driving. Emotions: The holidays often involve spending time around relatives or people we normally avoid. Emotions can run high and it is easy to lose control of anger when forced into social situations that are uncomfortable. This can lead to a variety of criminal charges that derive from the heat of the moment. 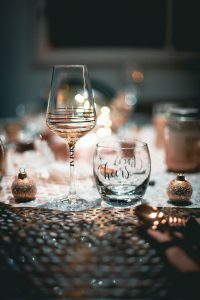 Pressure: Whether it is pressure to partake in a few too many drinks or pressure to have the perfect gift for your loved one, the holidays can put us under a lot of stress. This can lead to poor choices with hefty consequences. Because of the above reasons, holidays lead to a spike in criminal charges. The following are all common arrests made during this season and information about how you can post bail. Here in the state of Virginia, public intoxication (PI) isn’t a difficult crime to be charged with. You don’t even need to pose a risk to others or get into a fight to be arrested for a PI. If you are in public and you have had enough to drink that an officer can claim that you appeared intoxicated, you could be facing this unfortunate scenario. During the holidays when many of us spend time out with friends and family enjoying adult beverages, the risk for being arrested for PI is increased. If you or a loved one is arrested for being intoxicated in public, call your friends at Affordable Bail Bonding right away for fast bail. Whether leaving your company’s holiday party or driving home after a rowdy family celebration, cops are out in droves during the holiday season to catch drunk drivers. The reality is that you don’t even need to feel drunk to be charged with driving while intoxicated (DWI). The federal blood alcohol content level is .08 percent or higher. A few drinks over the course of a short period of time could land you behind bars. If you or a loved one is facing a DWI charge, make sure you contact us for DWI bail bonds. We can work with you to get your loved one home for the rest of the holiday season. Sometimes during the holidays, our tempers get the best of us. Perhaps you were out drinking with friends and someone at the bar made a comment you couldn’t handle. Many simple assault charges stem from drunken bar fights and wind up with a couple of people behind bars. If you or a loved one winds up in a bar fight during the holidays, post bail so they can return home as soon as possible. The holidays can put us all on edge, particularly when they require us to be around family members we’d rather avoid. Combine this with your aunt’s spiked eggnog and you can wind up doing something you later regret. Domestic violence charges are on the rise during the holiday season. The good news is that here at Affordable Bail Bonding, we make posting bail simple. Our team of professional bail bondsmen will treat you with respect and compassion throughout the entire process. Another pressure the holiday season brings is the feeling that you need to get everyone on your list a super nice gift. Sometimes financial burdens make this seem like an impossibility and individuals can turn to theft to try to fulfill their duty of gift giving. While this situation can feel like you ruined your life with one bad decision, there is hope. Post bail right away and get a lawyer who can help defend you in the court of law. Whether you had a few too many drinks and got behind the wheel or your anger got the best of you during your family dinner, our team is here to help. Nothing is worse than spending the holiday season alone behind bars. We are here to help you regain your freedom so you can enjoy the rest of the holidays with your loved ones. If you need a bail bond company in Lynchburg, you can count on for holiday bail services — please reach out to talk to our friendly team. We work around the clock and make bail affordable for everyone.